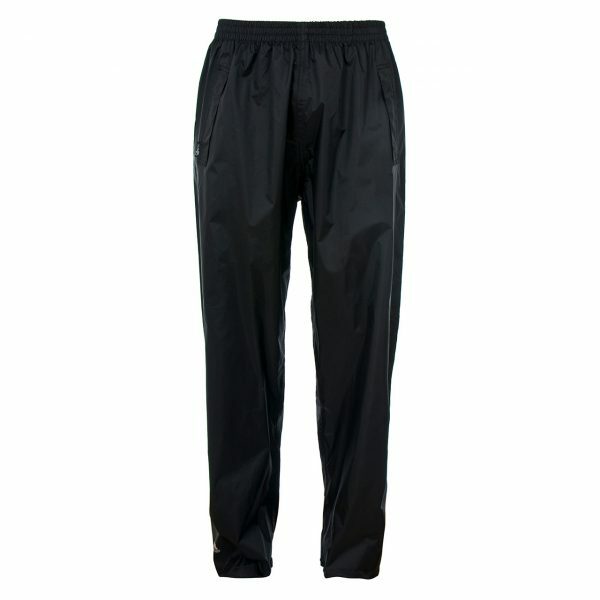 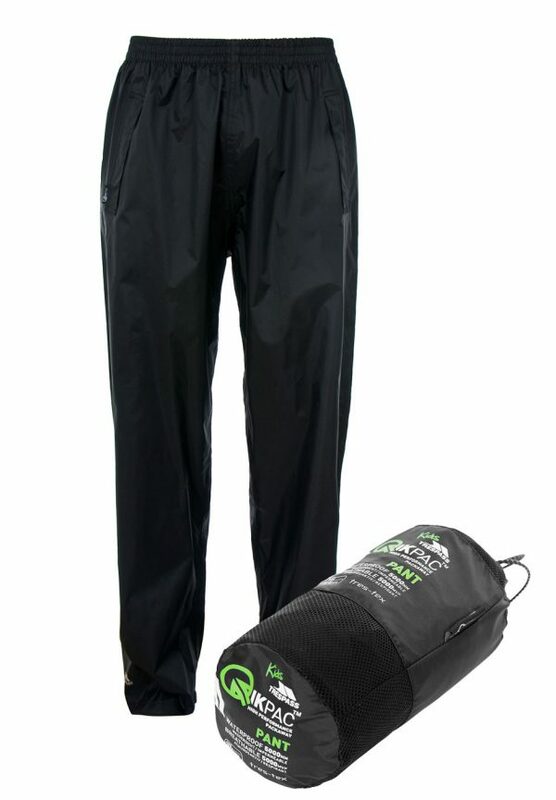 The unisex Qikpac waterproof trousers are a great item to take with you on a variety of outdoor excursions, such as camping and hill walking. 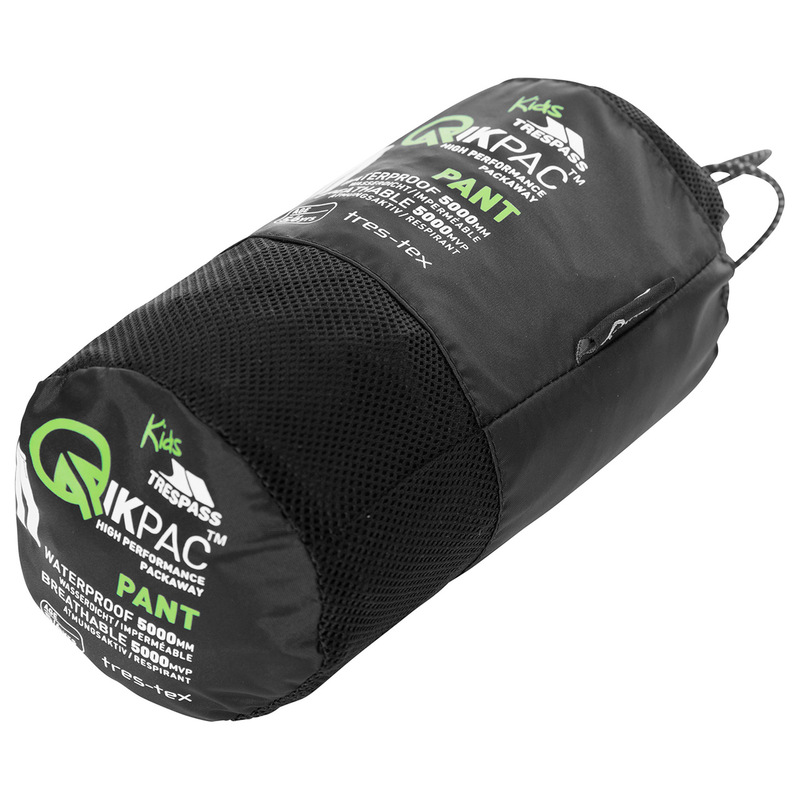 They feature packaway technology which allows you to easily store the trousers away quickly and conveniently, meaning you can enjoy more time in the outdoors. The trousers are also waterproof to 5000mm and feature taped seams, which prevent moisture from entering through the seams of the garment, helping you to remain dry. 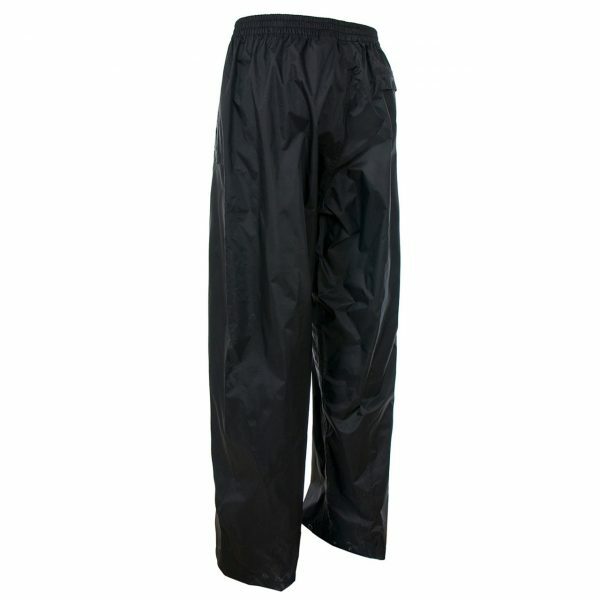 Furthermore, they are extremely lightweight and have a fully elasticated waist which makes them great for being be able to move around freely without feeling bulky or constricted. This is only enhanced by the breathability rating of 5000mvp which allows you to move around as much as you want, without feeling sweaty. So when the rain starts, be sure that you are well protected with the Qikpac waterproof trousers.